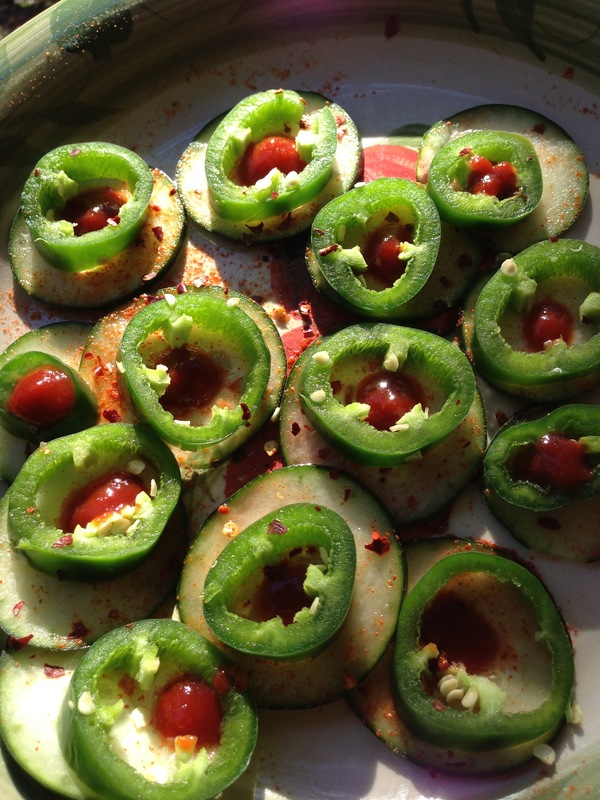 Sliced cucumbers topped with lemon juice, cayenne pepper, red pepper flakes, and fresh jalapeños. That’s nice, but something is missing. Something red. Sriracha. 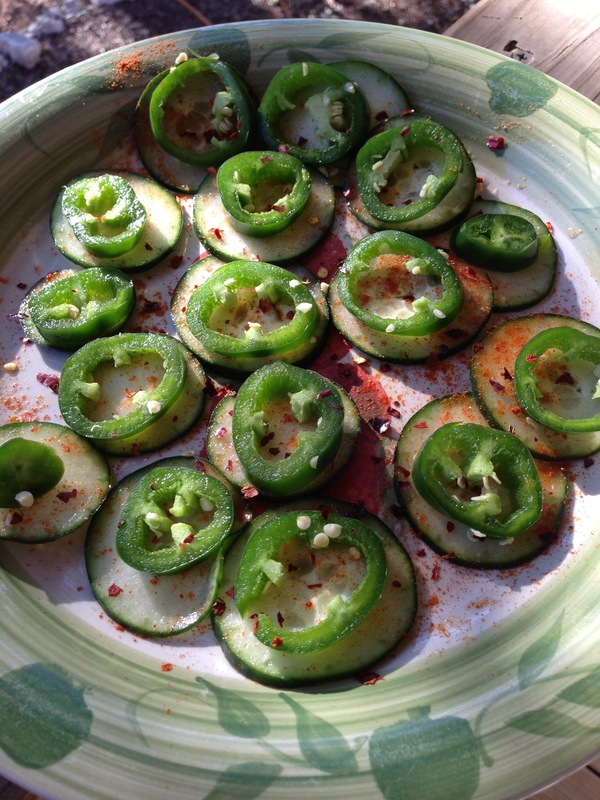 That’s one way to keep your veggies not boring–add a ton of spices! Made these today, they were amazing!